An introduction reminiscent of "Apocalypse Now" leads to at least one horrifying theory we don't want to believe. 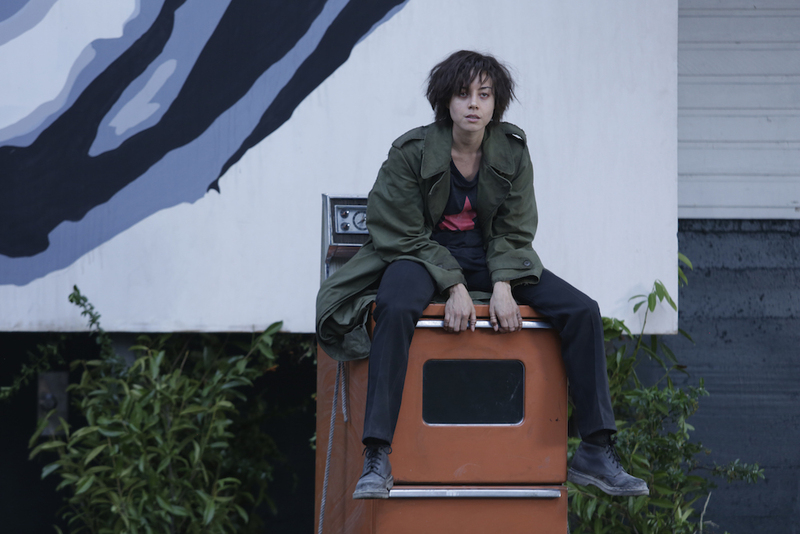 Maybe the wild premiere left me FUBAR, but the opening of “Legion’s” second episode gave off major “Apocalypse Now” vibes. David’s ominous, deadened voiceover recalled Martin Sheen’s war-torn work in Francis Ford Coppola’s classic. The song — “Road to Nowhere” by the Talking Heads — served as a modern stand-in for The Doors’ “The End,” which would be far too on-the-nose (and overused) to be repurposed yet again, but the notes guided a slow, seemingly peaceful riverboat ride; an iconic wartime image, countlessly repurposed in many an action film, but never so effectively alluding to the horrors hidden on each riverbed as in the Oscar-winning 1979 film. 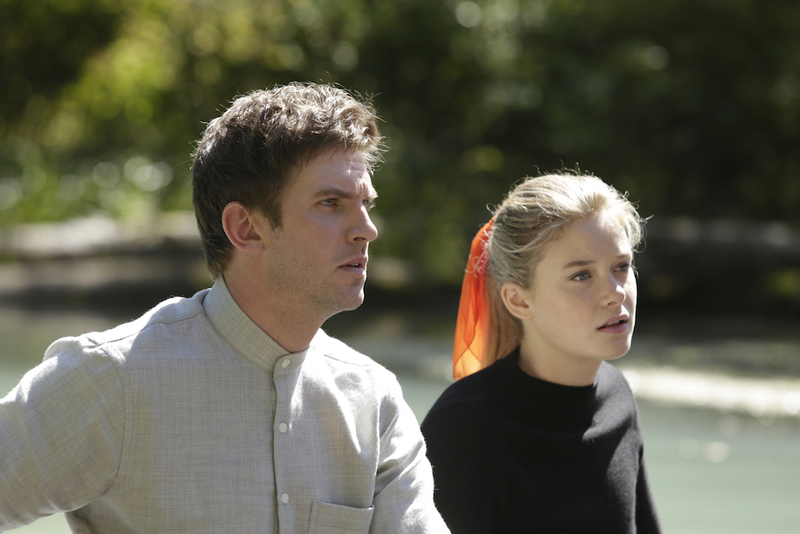 And there are horrors lurking in “Legion” — literal and figurative. As sunlight shone through the trees above, men in “black masks, boots, and the one they called, ‘The Eye,'” hunted David (Dan Stevens), Syd (Rachel Keller), Melanie (Jean Smart), and the rest of the mutant outcasts. The overlaid imagery featured shots of the forest and its occupants dissolving into each, just as “Apocalypse Now” overlaid a jungle filled with fire and Willard’s face. Even David’s narration spoke of Summerland as “the place they said did not exist” (much like Willard’s mission did not, nor Kurtz, himself) and his sweaty, bedridden, head-rubbing state certainly evoked some of Marlon Brando’s iconic colonel. As the elegantly structured episode progressed, David (Dan Stevens) was brought up as the key to winning the war, and we, along with David, descended further and further into madness. Not that it felt like lunacy. Unlike Coppola’s film, which was so driven to capture the insanity of war it spawned notorious psychosis on set, “Legion” remains lucid. Noah Hawley’s series is intriguingly complex, with as many moving pieces as the contents of David’s old kitchen drifting through the narrative. Yet it’s never frustrating, rarely obtuse, and always compelling. We may be preparing for war with a (formerly) certifiable madman, but there’s a level head guiding us through. Such drive within a complex story like “Legion” can be attributed to an impressive production; one that begins on the page and ends in the editing room, and “Chapter 2” offered a(nother) lesson in visual exposition. This time, Hawley — along with director Michael Uppendahl — amped up the narrative to incorporate multiple reality switches within the first 15 minutes. Sound familiar? Persecution based on classification should in 2017, but how the information is presented is just as pressing as its real-world parallels. Up to this point in the episode (only a few minutes), we’ve stayed in the present. There have been a few quick flashbacks to past events (like the group’s escape in Episode 1), and David imagines things we see onscreen (like the radio dial he uses to turn down the voices in his head). But otherwise, events are sequential. Then comes the memory work. We got a taste of it in the premiere when Syd entered David’s memory to tell him how to escape from the pool, but anyone unfamiliar with “Legion’s” source material wouldn’t have been able to explain how exactly that happened. Now we know: Ptonomy (Jeremie Harris) has a special ability that allows him to take people inside their memories and observe them as if they’re there. He illustrates this by taking David to a field where a younger David and his sister play together. They call him a “memory artist,” and he, David, and Melanie all take a trip into David’s mind…without leaving the room. Ptonomy instructs David to sit at a table and grasp mounted handles, and the rest of the team sits around him. While they’re walking through David’s memories, Hawley cuts back to them at the table in order to show us they haven’t physically moved. That’s important for events to come, as well as to establish what’s real and what’s imaginary. Inside his mind we learn key background about David, including suspicious information about his father and allusions to the graphic death of his mother. “The World’s Angriest Boy in the World” is just one monster shy of becoming “The Babadook,” and we’re not putting it past “Legion” to bring one in (perhaps “the devil with the yellow eyes”). The memory, though, jars David, and we’re sent back to reality where Ptonomy puts him to sleep in order to calm him down. Lenny’s presence alone is a marker we’re in the past, since she died last episode, as is David’s long, unkempt haircut. But is this a dream or are we doing memory work again? Hawley doesn’t string us on long enough for the question to become frustrating, waking David up with a glass of milk courtesy of Ptonomy. It was a dream, though we’ll revisit the same scene in memory work soon enough. That’s quite a lot of jumps in just 15 minutes: reality, to memory work, then back to reality, then a dream, and finally returned to reality again. But distinguishing these worlds is crucial. It helps us understand what matters without verbal exposition bogging down the story and lets the rest of the episode play out to maximum dramatic output — including room for at least one worrisome theory. As David described to Syd when embracing the restrictions of their physical relationship, our two leads are sharing a “romance of the mind.” But is their love real? It’s a question we don’t particularly want to ask, given the couple’s electric chemistry and inspiring promises, but let’s face it: David was an easy target. Sitting there, alone in the hospital save for his crazy friend, Lenny, David had bought into the idea that he was sick. And then a beautiful woman shows up telling him the very things that other people are afraid of are what she likes about him — what she eventually loves about him. She seems too good to be true. Maybe she is: He’s the most powerful mutant in the world. Syd is well-acquainted with Summerland, Melanie, and her mission to save mutants. Are we really ready to believe she was showed up at his mental hospital by coincidence? And if she was sent there, who’s to say she wasn’t sent to fall in love with him as well? Syd needed a way to ensure David’s trust and convince him to come back to Summerland. David asked her to be his girlfriend during their first conversation. Was she supposed to say no and risk alienating her mark, or agree and deepen their bond? At the end of the premiere, David stopped Syd at the bottom of the hill and made her promise what was happening was real; that she was real. He was clarifying whether or not the madness all around him was in his head, but she was the one who not only confirmed it wasn’t, but that she also loved him. We want to believe her because we had to believe David’s only shot at happiness wasn’t just a dream. While we still believe it’s real, we’re starting to worry if Syd’s secrets are even darker than David’s. 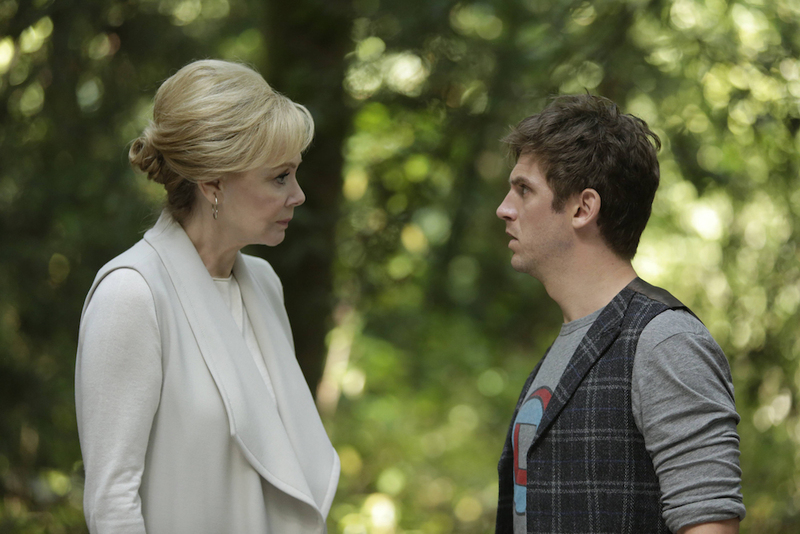 “Legion” airs new episodes every Wednesday at 10 p.m. on FX.